To unite the American people around policies rather than political parties. To find bipartisan policy solutions to America’s most critical challenges, and to mobilize voters behind those solutions. To build an advocacy network of individuals and organizations across the country. To create common ground for voters and elected officials of both parties to come together in shared purpose. Help us restore SANITY to American politics! If you are tired of partisan gridlock and empty rhetoric, then join our effort to educate voters, amplify the voices of moderate Americans, and move beyond party loyalty. Sign up now for our newsletter, and join the fight to bring dignity, civility, and intelligence back to American politics. 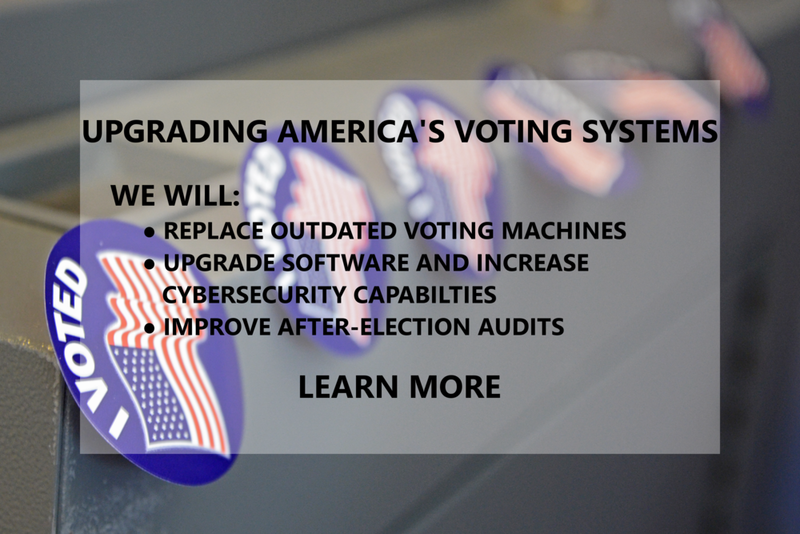 Your representatives have the ability to safeguard our nation from threats to our voting systems.